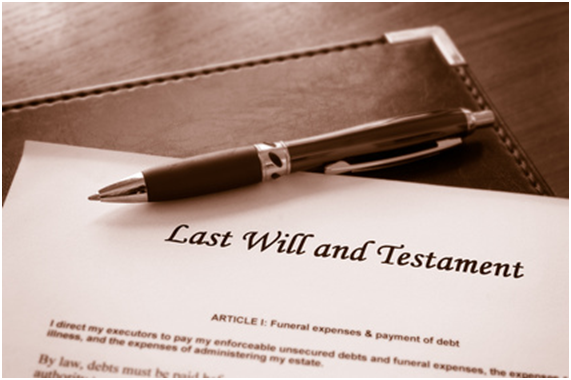 A will is basically a legal document which states who should receive a person’s property, money, or estate when they die. Making it is one of those things we all know we should do but seem to ignore. Writing one makes the financial future of your dependents certain and saves them the chaos and financial worries when you die. The law decides who get what if you die without one. Here are tips on how to draw it up. - Your wishes are simple, like you want to leave all the property you own to a spouse or your children if your spouse dies before you do. Keep in mind that your legacy is invalid if not witnessed and properly signed. There are no special qualifications for a witness. All they have to do is be there with you in the same room to witness your signature. A witness who has any beneficial interest in your testament is capable of making the testament invalid. - You own property out of the country. - You are running a business and want to leave it to someone. - There are wishes that might be misunderstood. - You want to make sure you do not pay more Inheritance Tax than you have to. With a solicitor, your beneficiaries can redress via the relevant entities’ complaints services and compensation fund in case of a problem. With these people, ask for proof that they are a member of a recognised trade body like the Institute of Professional Will Writers since they don’t have to be regulated. It’s possible that you or your beneficiaries might have some issues or problems with the testament. Make sure there is indemnity insurance and procedural details. If you decide to draw your testament with your bank, investigate who provides the service and how the service is regulated. 2. Select your executors well. An executor is a person who'll be responsible for operating your estate with respect to your instructions after you die. Make sure the people you choose actually want to be your executors and appoint a substitute executor too. Just in case your default executor is unable to act. 3. Appoint guardians and trustworthy trustees. If you have children below 18 and you are the last living partner or are unmarried to your partner, you or your partner might not get guardianship when one of you dies. Appoint each other as guardians on to prevent this. If your beneficiaries could be under 18 when you die, you need to appoint trusted trustees with knowledge on financial matters to manage your property before your children turn 18. 4. Save on tax with a trust. Inheritance tax is expensive for many families especially in cases where property value pushes an estate value over the nil rate band of the tax. You can include a discretionary trust in your testament to save your kids over £110,000 in inheritance tax at the present rates. 5. Sign and get it stored safely. Your testament has been witnessed and correctly signed.to prevent loss or damages, store it in a safe storage facility.